This patient had a preexisting posterior capsular tear. It was the result of accidental damage by a retina surgeon during an anti-VEGF injection. The patient also had a dense white cataract and hand motions vision. 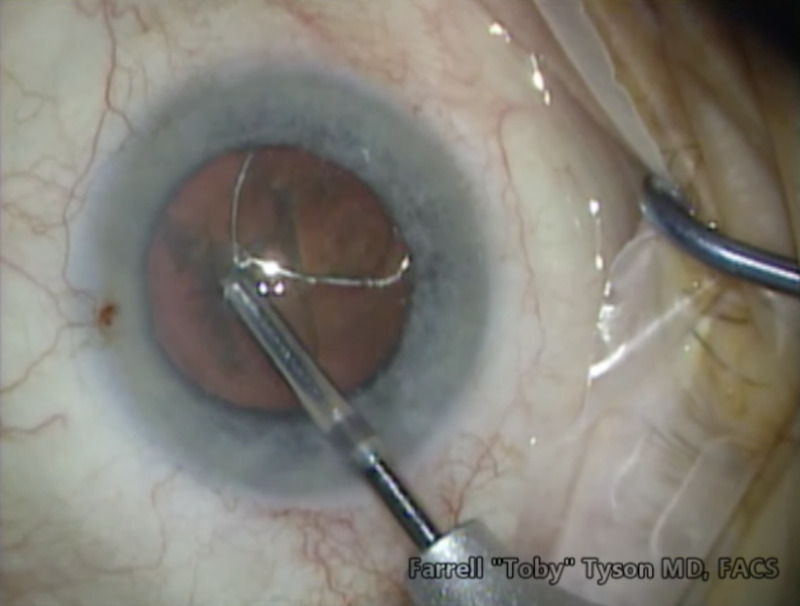 The well-formed and well-placed laser capsulotomy allowed me to execute my plan for a sulcus-based IOL. At the end of the case, the patient candidly describes his experience and visual outcome during his postoperative visit. The individual was neither coached nor compensated for their remarks.